The PR 20/20 team will be attending and speaking at Content Marketing World (Sept. 8 – 11) in Cleveland and INBOUND (Sept. 15 – 18) in Boston. The Marketing Performance Blueprint, will present "7 Steps to Becoming a Performance Driven Content Marketer" as part of the Future Content track. We have entered the age of content, context, and the customer experience. Audiences crave knowledge, answers, and entertainment, while marketers strive to provide remarkable brand experiences that capture the hearts and minds of their prospects and customers. Leading brands have become storytellers, but content creation and distribution is not enough. Marketers must go beyond brand storytelling to deliver personalized, highly relevant communications across all channels, and connect their actions to marketing goals including subscribers, reach, website visitors, leads, sales and customer retention. Why gaps in talent, technology and strategy are impacting content marketers’ ability to maximize ROI. How to build integrated content marketing campaigns that take a scientific approach to success. Attending #CMWorld? 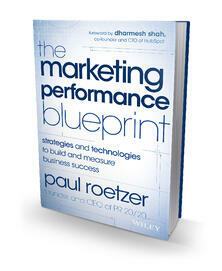 Be one of the first 100 people in the door at the session to receive a copy of Roetzer’s new book, The Marketing Performance Blueprint. View the full Content Marketing World agenda. In town for Content Marketing World? Looking for a place to network with your fellow content connoisseurs in advance of the big Ohio City reception? Join us Monday, Sept. 8 for the #PR2020PreParty at Zocalo on E. 4th Street. We'll hang out from 3:00 - 6:00 p.m., then head over to the official #CMWorld opening night reception in Ohio City. Register to attend on Eventbrite. Hope you see you there! 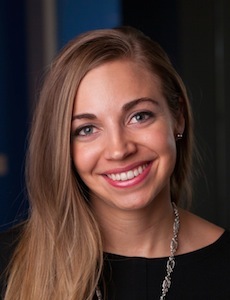 On Tuesday, Sept. 16 at 10:30 a.m., Roetzer will present “The Profitable Agency” as part of the Partner Track for HubSpot’s Partner Program. Growth is the easy part. Attracting and retaining a profitable client base is the real challenge for agencies. As the demand for digital increases, many agencies are offering new services, evolving internal processes, and evaluating alternate revenue and pricing models. In this presentation, Roetzer provides 15 actionable tips to maximize your agency’s profits in the new era of marketing services. The presentation, based on Roetzer’s new book The Marketing Performance Blueprint, you’ll learn how to align marketing KPIs with overall business goals, bring structure and meaning to numbers, and adapt campaign strategies in real time based on results (or lack thereof). Roetzer also will share a theoretical model showing what’s possible for the future of campaign and marketing performance management. Roetzer will also participate in a Q&A session with Patrick Shea (@mpatrickshea) on Wednesday, Sept. 19 from 10:30 – 11:00 a.m., followed by a book-signing session from 11:00 – 11:30 a.m. Both the Q&A and book signing take place in Club INBOUND. View the full INBOUND agenda. Interested in live updates from our team? Follow us on social media for status updates, presentation notes, pictures and more.